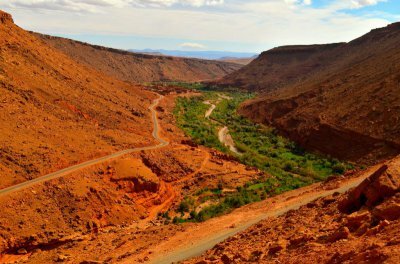 Day 1: Marrakech - High Atlas - Télouet Kasbah - Ounila Valley - Ouarzazate. At 09:00 a.m , you get the departure from Marrakech crossing the magnificent sightseeings and landscapes of The Highest Atlas via the Tichka Col (2260) to "Télouet Kasbah" , which was Pacha El Glaoui's ex-hostel. Such Kasbah reflects the feudal era in Morocco. 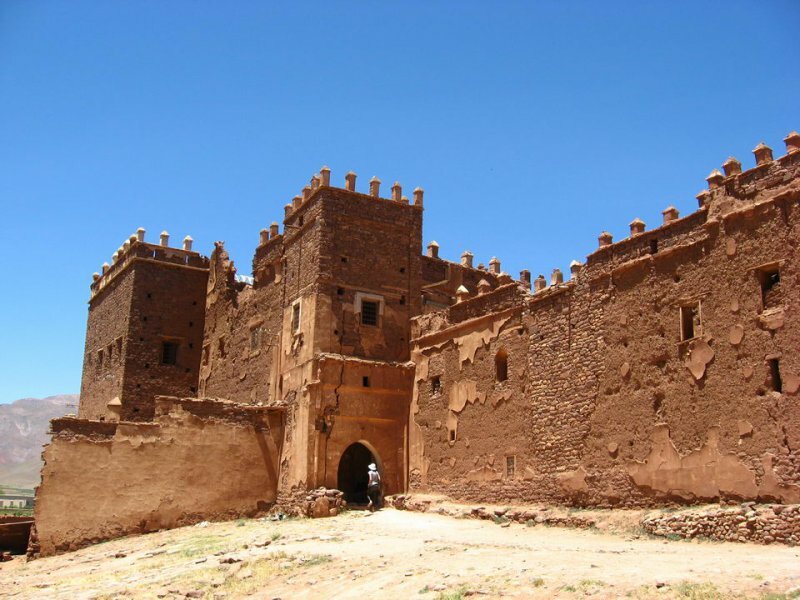 After that, we take «Ounila "valley's road, which used to be caravans alley , down to Ait Ben Haddou Kasbah which is classified as an international patrimony of humanity by the UNESCO. Ait Ben Haddou Kasbah was also a plateau / location to many international films like "Nile Diamond", Alexander the Great....etc. 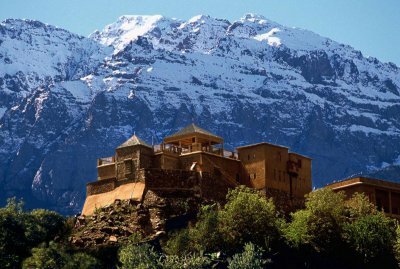 Then, we carry on the journey to Ouarzazate to spend the night at "Kasbah Dar Chamaa". After taking lunch , you get the departure from Ouarzazate to travel across amethysts' track to the Highest Atlas passing by magnificent landscape to reach an Isolated village called "Assermo".In that village, you can have lunch(pic-nic) and get prepared to dismount through a non-tourist road to "Demnate" in order to take the break there and make a visit to the "Imi -n- Ifri 's Waterfalls” where you spend a night at a beautiful guesthouse . Day 3: Imi-n-Ifri - Demnat - Ouzoud Waterfalls - Marrakech. After taking breakfast , you get the departure from Imi-n-Ifri to the beautiful Ouzoud waterfalls .You have lunch there and then we take the passage to "Oued El-Abid Canyons". Next, we head for Marrakech passing by the agricultural region of "El-Kelaa".